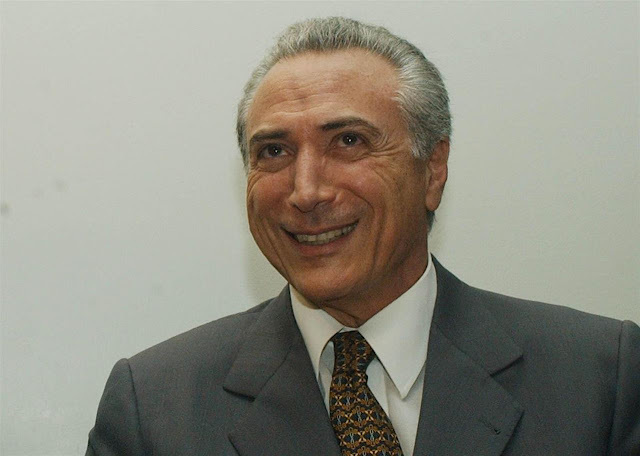 BRASILIA (Reuters) - The rebalancing of Brazil's depleted public accounts would be done gradually and accompanied with policies that create jobs and raise income under a possible government of Vice President Michel Temer, his top economic adviser told Reuters on Wednesday. Temer could become Brazil's next leader in coming weeks as a growing number of disgruntled lawmakers move quickly to impeach leftist President Dilma Rousseff over accusations she broke budget laws. Wellington Moreira Franco, a confidant of the vice president and coordinator of his party's economic plan, said the biggest challenge of a Temer administration would be to shore up the country's finances. "That fiscal rebalancing will have to be accompanied with incentives to generate jobs and raise income," said Franco in the offices of Temer's Brazilian Democratic Movement Party (PMDB) in Congress. "It has to be a gradual adjustment ... if not you risk suffocating the population." Many investors have been betting on an aggressive austerity plan to regain the country's investment-grade rating if Temer, a constitutional scholar, takes the presidency. A Temer government would focus on attracting private capital in infrastructure, public works and the oil and gas sector, said Franco, the former governor of Rio de Janeiro state and until last year Rousseff's Aviation Minister. He said Temer would bolster concessions in public housing, basic sanitation and urban transportation and offer investors better terms on those projects, avoiding the mistakes of the Rousseff administration that wanted a lower internal rate of return. "We will have more concessions with clear rules and no ideology," said Franco, adding that the government would also seek partnerships with investors in joint ventures. Rousseff, a leftist economist whose interventionist policies are partly blamed for the downfall of the once-booming economy, is losing the battle to avert impeachment in a Sunday vote in the lower house of Congress, lawmakers say. Rousseff has blamed Temer for conspiring against her government, which is struggling with the worst recession in more than a century, high inflation and a widening fiscal deficit. If Rousseff survives the impeachment vote, her government will further ease austerity by spending more on social programs and infrastructure while freeing up banks' reserves to bolster credit, a top aide told Reuters on Monday. She has lost the trust of powerful business groups with industry leaders now publicly calling for her impeachment as the only way out of the economic crisis. In recent days, Franco has met with executives from construction and for-profit education companies as well investment bankers and money managers to explain the PMDB's "A Bridge to the Future" economic program. "We are asking investors for calm," said Franco, who handed over an English-language version of the program, distilled down to 16 pages. "All this speculation and exchange rate volatility is not useful. It weakens our external sector." In recent weeks, Franco has met with Goldman Sachs and Morgan Stanley bankers and executives from investment funds such as Discovery Capital Management, AllianceBernstein and Rokos Capital. He declined to say if Temer would appoint a new finance minister and central bank chief, or who they might be if he did so.